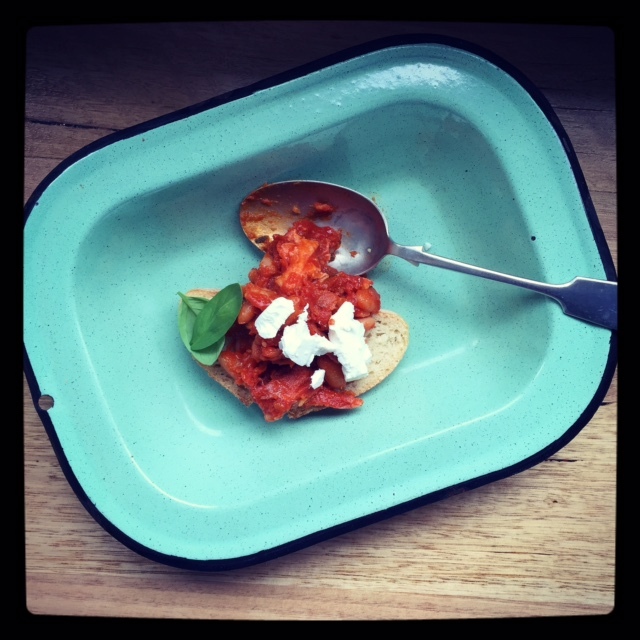 The Organic Tippler: What to drink with Baked Beans! And confessions of a crush on Andrew McConnell. The musings of an organic wine lover. What to drink with Baked Beans! And confessions of a crush on Andrew McConnell. Being a left-leaning, middle class, inner city dweller it should come as no surprise that I subscribe to The Saturday Paper, the paper put out by the publishers of The Monthly and The Quarterly Essay. It is lovely to read a paper that affirms all of my own beliefs, and makes it easy to forget that there are other people out there who don't share them. 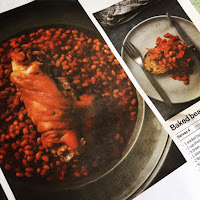 But, if I really had to admit why I love The Saturday Paper so much (aside from the quiz), I would confess that I actually have a super foodie crush on Andrew McConnell, and he is their weekly food and recipe columnist. For those of you not familiar with Andrew, (SHAME ON YOU!) he is part owner of Cumulus Inc, Cutler and Co, and Super Normal. His food really ticks all the right boxes for me. He's moved away from all that 'molecular gastronomy', foams, deconstructed this and that, and makes delicious dishes that are both delicate and hearty at the same time. The parfait at Cumulus Inc. is like fluffy pate goodness, and is enjoyed with a glass of Prosecco is pretty much the nearest thing to heaven on Flinders Lane. This week Andrew's column was a recipe for Baked Beans with ham hock. Now, I've made baked beans from scratch several times, but these ones seemed just too easy! Limited ingredients, using time and care to make them taste amazeballs. Off I trotted to get the ingredients and after a day of boiling a hock, lovingly soaking beans and preparing an uber tasty tomato sauce the beans were served. SERIOUSLY GOOD. I doubled the quantity, which means we've been eating beans all week in various guises. These babies were plump, soft, yet still in shape, and nothing at all like the mush that comes from a can. 1. As a dinner, straight up with chunks of toasted ciabatta. 2. As lunch, with pan fried mushrooms and spinach. 3. As dinner, with a couple of poached eggs and some crumbled fetta cheese. I love this wine. 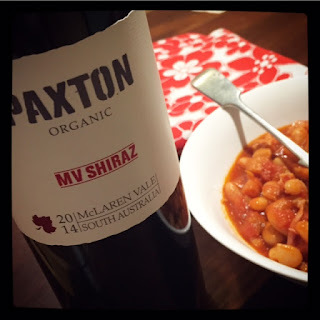 David Paxton really knows his stuff, which is why we stock quite a range of his wines. You can buy it now on our website! More thought into food and wine matching lead me to Tempranillo for subsequent meals. This savoury drop goes well with spicy, tomatoey food - especially Spanish food. 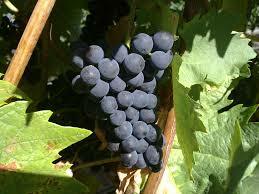 We've written a 101 lesson about Tempranillo on our website. Basically, it is a champion with food. Four Tempranillo (or tempranillo blends) are currently gracing our shelves. You can peruse them here. I opened a Vicente Gandia Tempranillo from Spain. It's as cheap as chips, and really tasty. It's often my fall back wine for quaffing, or with a thrown together meal. It's full of the intense aromas of cassis combined with black currant. To taste there are liquorice and black currant notes. It is a well balanced wine, and stands up to rustic food flavours. Perfect with my beans! I'll include Andrew's winning recipe below. I only made minor changes (I doubled the herbs and added 4 anchovies to the tomato sauce for a bit of extra zing). 1 cup dried white beans (soaked overnight). 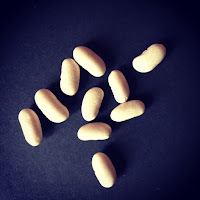 Andrew recommends cannellini beans - the smallest you can find. Place ham hock in a large saucepan and cover with cold water. Bring the water to the boil and then lower the heat and simmer the hock until it is tender (about an hour and a half). Preheat oven to 140 degrees C.
Cover your drained beans in cold water and bring to the boil. Simmer for 5 minutes and drain. In an ovenproof saucepan gentle saute onion and garlic in the oil. Once soft add the praprika and sugar and fry for one minute. Add brandy and reduce by half. Add wine and reduce by half again. Add drained beans, tinned tomatoes, tomato paste, thyme sprigs, bay lead and enough ham stock to just cover the beans. I added the anchovies at this point. Bring beans to a simmer, cover with a tight fitting lid and put in the over. While they are cooking (for about an hour), pick the ham from the bone and shred. Once the beans are meltingly tender, but not disintegrating, pull them out, stir through ham and cook for a further 5 minutes. I needed to add extra ham stock during the baking process, so keep an eye on the pot! Season with salt, pepper and red wine vinegar. Serve as you like (see suggestions above). Food and Wine Pairing: Shiraz. How to make Red Wine Vinegar. New at Organic Wine: Tamburlaine Wines.